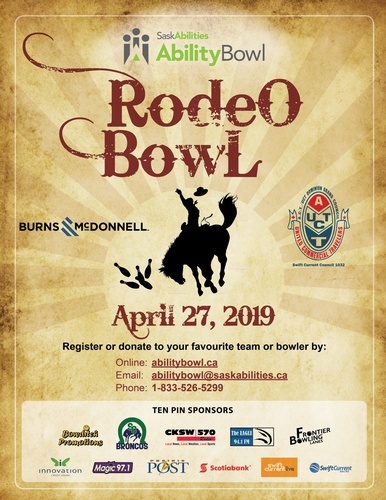 Join us on April 27th at Walker Place at 8:00pm for a free dance to celebrate the 32nd Annual AbilityBowl - RodeoBowl! This is a fun-filled family event with live performance by Laureen Kress & South Wind with Earl Harder. Grab your friends, family or your neighbour and celebrate this great community event! Yeehaw! !